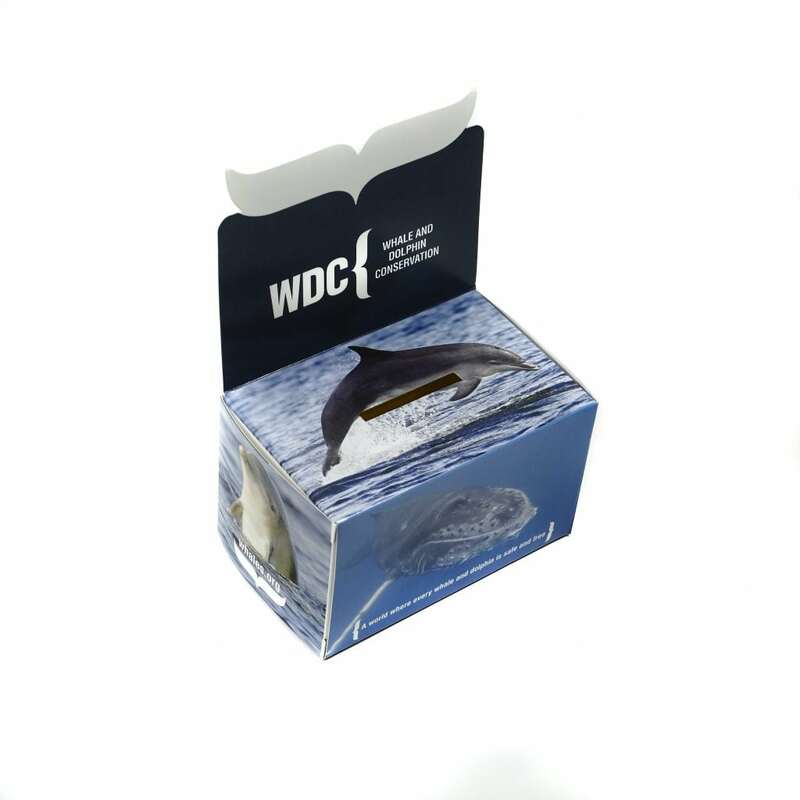 Collecting loose change can help us work towards a world where every whale and dolphin is safe and free. Did you know that if you lined up 600 pennies in a row, it would be the same length as a 12m long female sperm whale?! We’re aiming to raise £1,000, the length of 166 female sperm whales, from our change collection boxes this year. With your help, the money you raise will help our work to stop hundreds of whales, dolphins and porpoises dying in fishing gear every year. We will work with governments, the fishing industry and coastal communities to keep these majestic creatures safe in the seas around the UK. If you would like a change collection box, send us your name and address to info@whales.org (please put change collection box in the subject line) or call 01249 449500. When your box is full, all you need to do is count the contents, and either complete the form on the back of the box and send a cheque (payable to WDC) for the amount you have collected or pay in your donation here. And remember, change collection boxes are for personal use only and may not be used for public collection. Please do not send your loose change through the post.